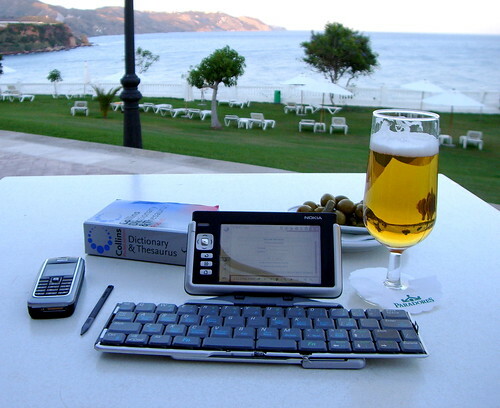 You are here: Home » Blog » My musings » Does Blogging help make you a better overall Writer? Hold onto your obvious judgment for a moment while I explain what I’m talking about. 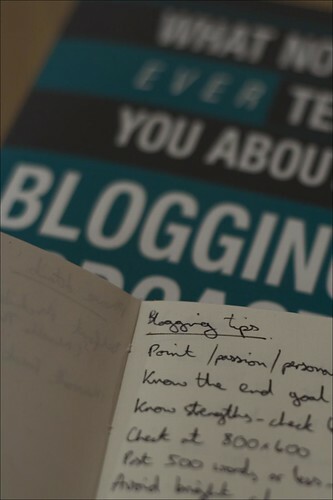 So as many of you know, I’m not only a blogger, but also an author. I’m nearing the end of my first novel, The Eternal Sphere, which I hope to be the first of five or six books depicting a society and characters in search of redemption. I’ve been writing the novel for years, far longer than I have been blogging. When I first started reading blogs, I immediately noticed the difference in writing styles: pithier, more images, a focus on emphasizing key point via bullets or bolding, and far less emphasis on details. This is how I write my blog articles as well. I try to highlight the key points and hit them early. You’ll find bolding and bullet points a great deal in my articles. But in my novel writing, it’s a completely different style of writing. I “see” the images, the fights, the suffering of my characters, the landscapes and I try to convey as much of that as I can to the reader. I am conveying this through dialogue and very descriptive writing. So far, my novel writing hasn’t been drastically affected by my blog writing, but it’s tough for me to know objectively. While I do want my novel to be a bit pithier, I do not want it to be like a blog. So I started to wonder if the general blog writing and reading style, pithy and quickly scanned, is good for my overall writing. Research – You’re doing constant research on the internet to write many of your posts, to find links, etc. Great also for non-fiction writing. Exposure to far more thoughts and opinions – What you may lose in the length and quality of some authors you gain in the quantity. Yes, seeing so many different styles helps your own. Commenting – You can get the thoughts of your readers almost instantly, something you don’t really get with other types of writing. Not working with plots – You’re mostly writing about news or opinion. With novels, you’re writing in arcs, plots, and longer term thinking. Not reading as many books – You may read more blogs, but that inevitably takes away from time you could be reading novels or other great literary works. I try to make up for this by audio books while I work out, but that isn’t a perfect substitute. Heavier on Images rather than imagery – When’s the last time you read a book that had pictures on every page? Even non-fiction books have fewer images than blog posts. Pithier writing leaves out details and nuances – You need to convey a lot more to readers in a book or a paper. In blog posts, you can simply link. Sometimes it makes for lazy writing. I could go on with a list, but the question I posed in the title is a bit misleading. Sure blogging helps your writing, but it’s a different style of writing. The question should be: Are you able to adjust your writing style to the need, topic, and audience you’re writing to? If you can, then constant writing will get your creative and writing juices flowing. If not, then you need to concentrate on one type of writing or be more conscious about altering your style of writing for your intended audience. As a bonus: 34 Writing Tips to help make you a better writer.